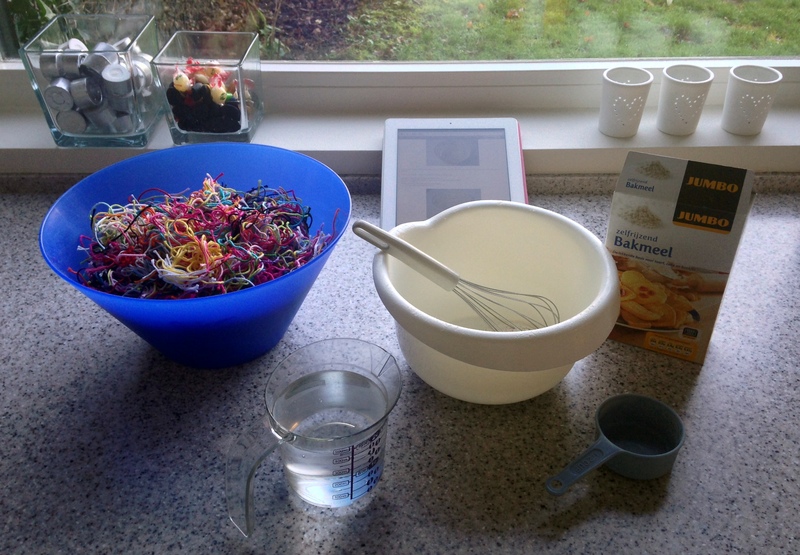 You’ll be perfectly fine, just following Elisabeth Andrée’s and Carolyn’s instructions, but I just want to show you how things looked here when I got started and moreover, show you the result! I’ll be pretty much bombarding this post with photos, but that way you’ll get the picture – 😉 – even better! 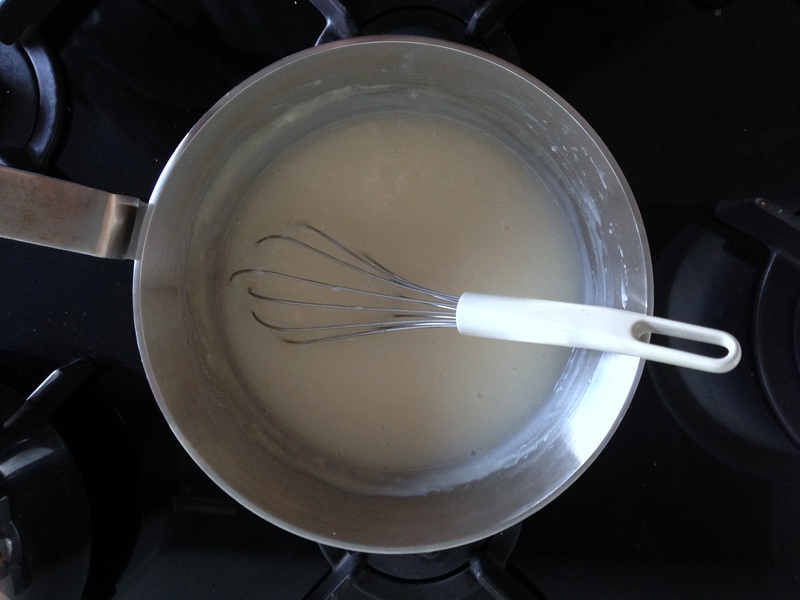 Then, following the Carolyn’s recipe (below), I mixed and cooked the paste and let it cool ….. Combine ½ cup flour and 2 cups cold water in a bowl; boil 2 cups of water in a sauce pan and add the flour and cold water mixture. Bring to a boil again, remove from heat and add 3 tablespoons of sugar. Let cool (the paste will thicken as it cools). 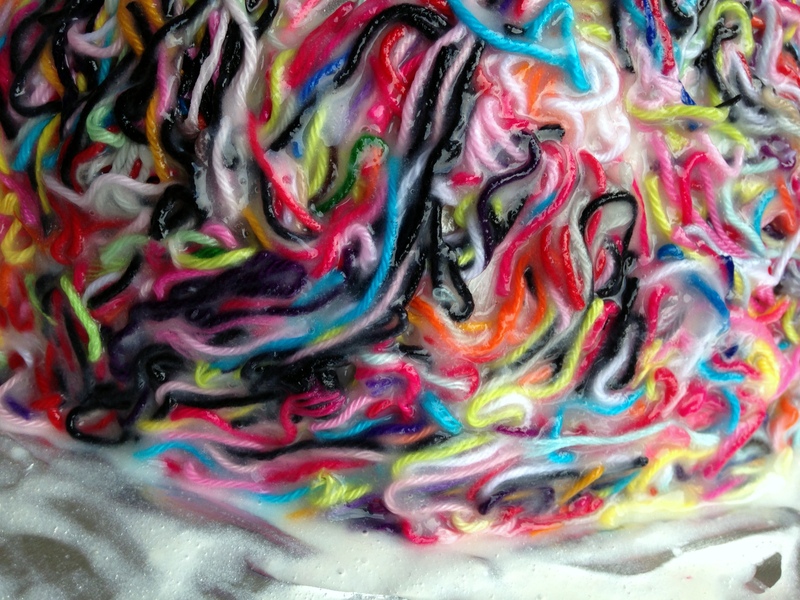 While the paste cooled down, I prepared the bowl(s) by covering the outside(s) with plastic wrap, making sure to cover all of the bowl(s) …..
After all this sculpting, the hardest part came …… finding the patience to let them dry! When I had finished my first (big) bowl, I very quickly got the feeling that I might have sculpted a bit to thick a layer onto the bowl. Since there were enough yarn ends and paste left, I prepared another, smaller bowl and made sure its layer of yarn-paste was considerably thinner. The first bowl is drying nicely, but is still not totally dry – after almost 48 hours! However, the second, smaller bowl with the thinner layer was completely dry this morning and so the exciting task of removing the yarn shell from the bowl started. Nervous moment, I can tell you …… But, the bowl came off nicely though, after which I carefully removed the plastic wrap from the inside of the bowl and T A D A H!! I love this idea! It is the PERFECT way to use up all my extra yarn. I am definitely going to give it a try. So cuuute!!! love your color mix also. I’ve been wondering if there was a way to recycle all my yarn ends, Now I know. Maybe I will try this after I save up enough ends. 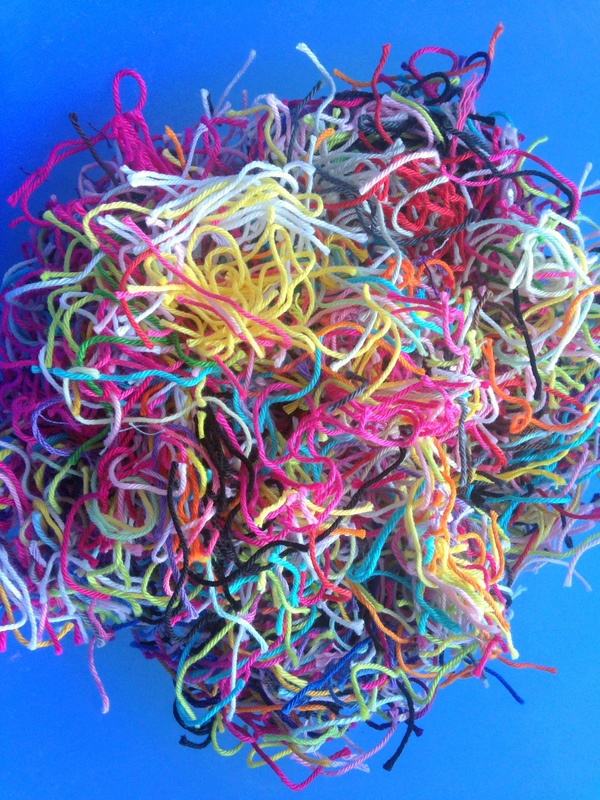 i found a new use for my crafting scraps YAY!!! 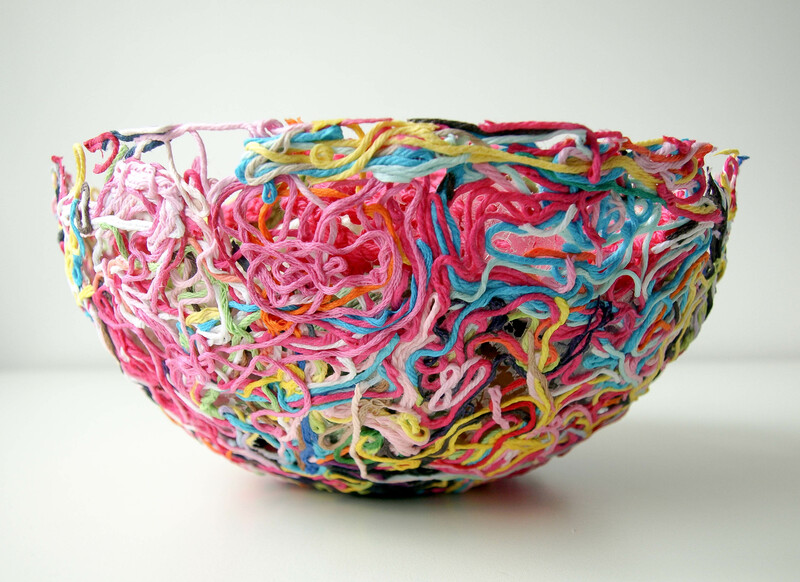 Looks like not only a bowl made of yarn but a bowl that can be used as a yarn bowl… Is it smooth on the inside? Love it! 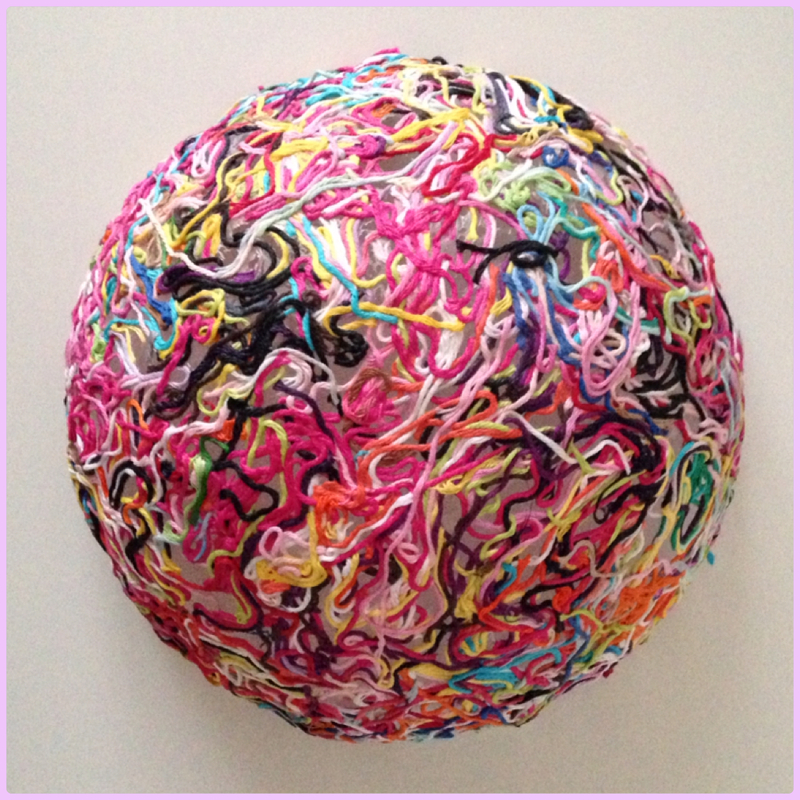 You could take fabric scraps, line the bowl first with the fabric, make sure it is smooth and then put your yarn on it. Could you spray shellac or a coating /finish on it when done? 1/2 taza de harina revuelta con dos tazas de agua fria. Aparte hierves dos tazas de agua y la agregas a la mezcla. Revuelves. Agregas tres cucharadas de azucar y lo vuelves a hervir todo. Luego lo dejas enfriar para que vaya agarrando la consistencia de pegamento. Es el casi típico engrudo! That is pretty. 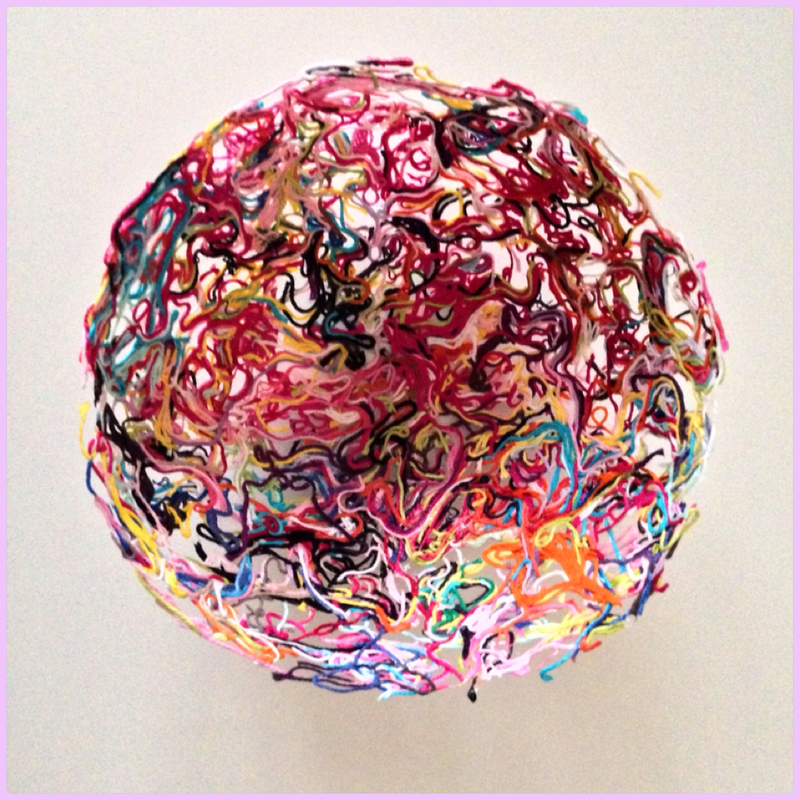 I am now imagining two bowls together as a ball for a hanging decoration. 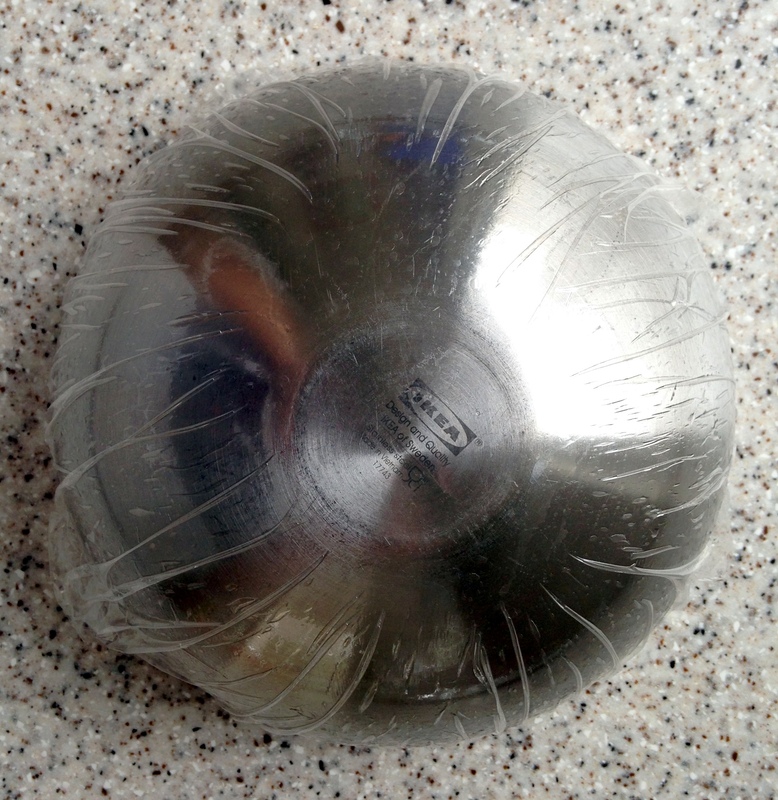 You can make a ball by using a round balloon. 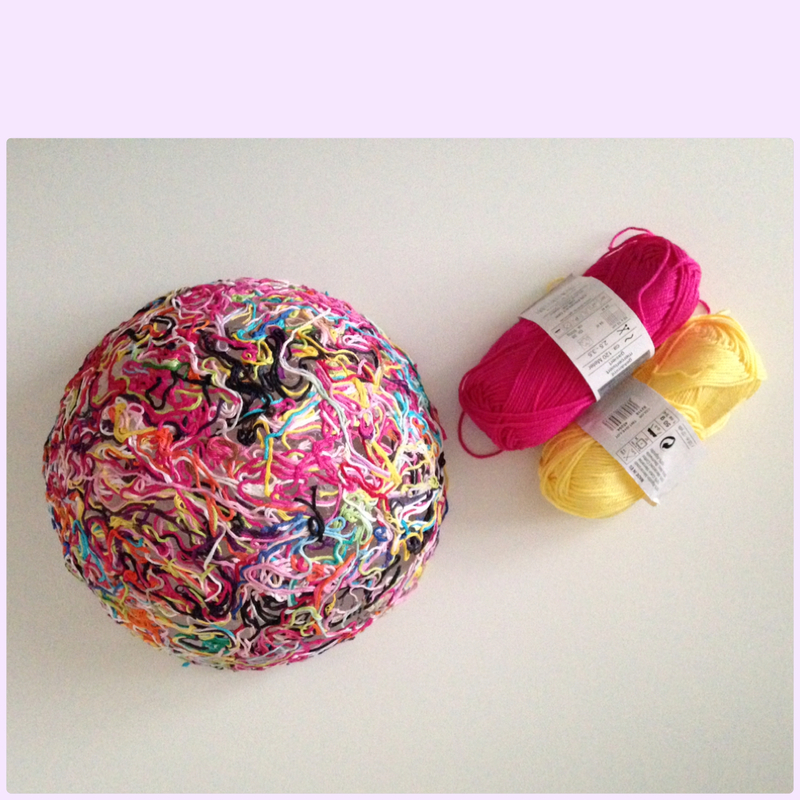 Glue yarn to balloon, let dry and then POP goes the balloon, pull out the busted balloon and hang. I’ve even seen lights made like this, but that requires a little research as I’m guessing a very low watt bulb that doesn’t throw off much heat would need to be used. Oh my gosh I love this!! I just have to figure out how to do the paste. And once the yarn is on do I put more paste on? Thanks outstanding job! The link for the paste recipe is broken and only produces a blank page. Any tips where to go or what to do now? Thanks for the inspiring idea! Thank you for letting me know; it’s a bit odd, because when I click both “recipe”-links in my blog post, they take me to Carolyn’s page immediately… hmmm. Very neat idea. I hate to waste anything so usually the only waste I have when I crochet or knit is what may be left on the skein at the end of my project, but the bowl turned out beautiful. how hard is it when completely cured? can you use it as a bread bowl at the dinner table? How do you use it? I’ve saved my yarn scraps for years, thinking I’d stuff a pillow with them some day. This is so much better! I can’t wait to try it! What a neat I idea! I must go get my niece and have her do this for me, she’s 3, she’ll have a blast! 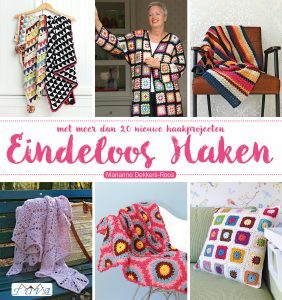 Gosh… wish I’d known this sooner – now I’ll have to start saving those little ‘ends’ for this craft idea. I love it though – really cute!!! Wonder if it would also work with fabric scraps from quilting???? What a great idea! Hope I will be able to find the ‘recipe’ for the glue and then I will be sure to try this. I only hope I have enough yarn scraps. I do save them, add them to fabric scraps from my quilting (other hobby) and then when I have enough on hand I make up a small pillow/cushion which is then donated to the local SPCA for the cats. Dogs love them but end up ripping them so only the cats/kittens get the cushions. They go home with the cat when adopted. Hi! I LOVE this Diy! Thank you sooooooo much for sharing! I have one question. 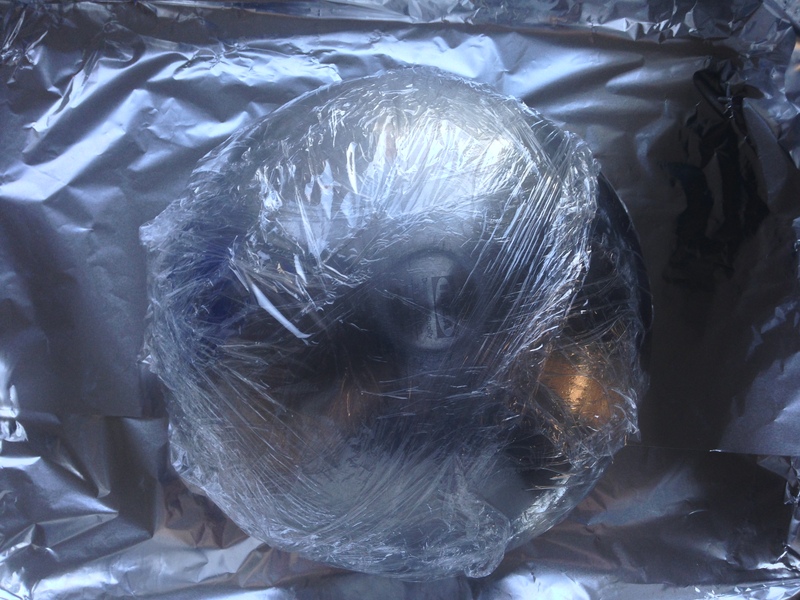 When you take the plastic wrap off, do you then put glue mixture on the inside 9 the bowl? I’m thinking Easter Baskets for the grandkids! Pretty, colorful & free. Thanx for giving me the recipe & idea. ♡ it. Awesome idea. I am wondering if they would hold up for “hand washing” also curious if the flour in the paste drys clear/transparent or if it is visible when the bowl is dry. 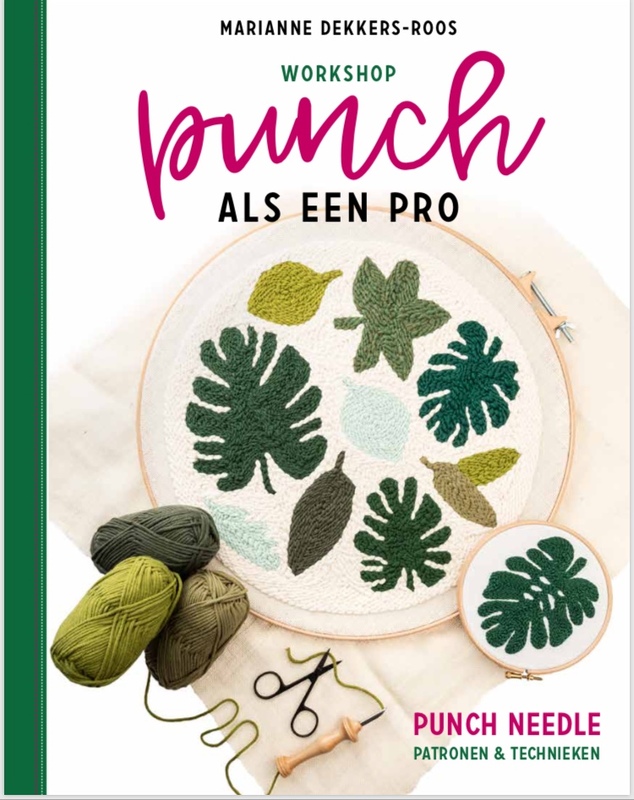 I love this idea and am going to use it as a project for my knitting class of young girls-which has dwindled down to two-but nonetheless they will enjoy it next week. Can you tell me where to send the photos when I have them ready? Thank you. Hi Marianne, just love this idea, will be trying soon. 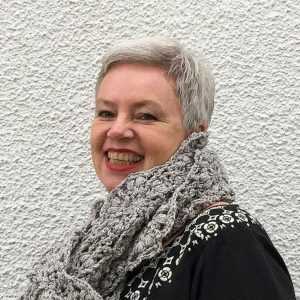 Just popped over to visit from your link on One Crafty Mummas blog today, Robyn from sewingtheseasons. 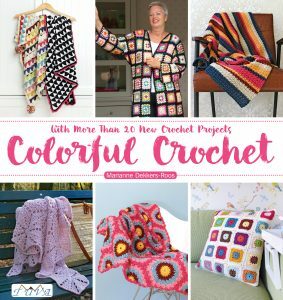 I love the idea and have plenty of yarn ends. 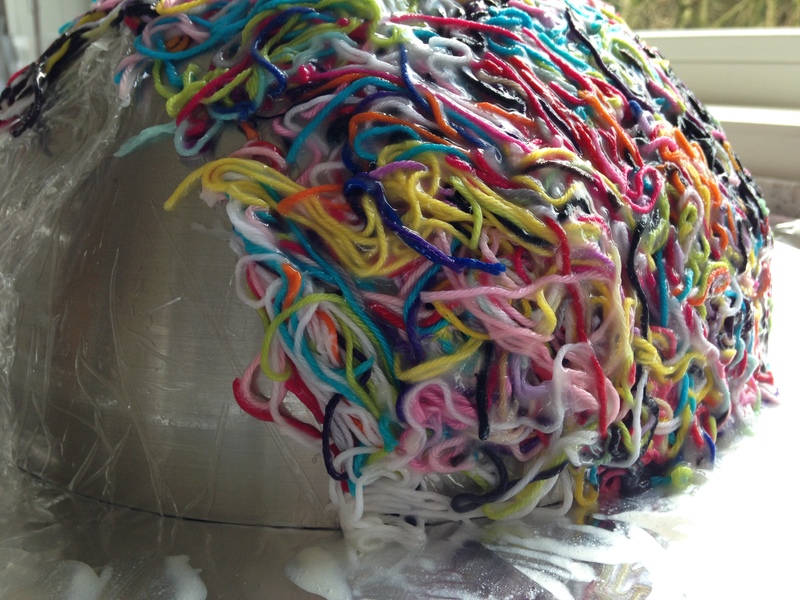 I usually stuff the yarn ends inside a glass Christmas ornament and give them as gifts. But now I am going to make these. I thought that instead of a big bowl I’d use an inexpensive clear custard cup and then when it was dry I could put the cup inside the bowl so that it could be used for a little jewelry bowl or something like that, plus I want to spar them with a clear “shellac” type spray. That way they would be protected. I will let you know how it works out. Thank you so much! 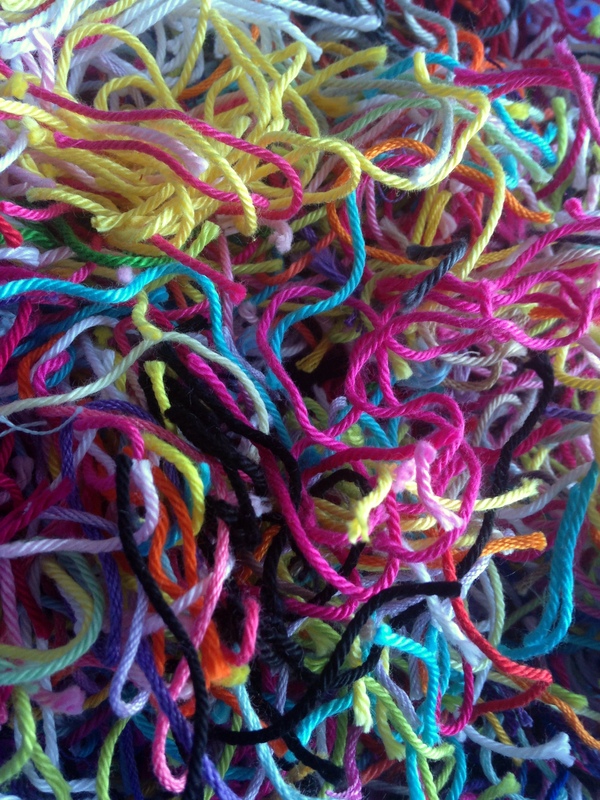 I like what you’ve done with your yarn ends so far – that’s a wonderful, colorful idea also! I love this! Absolutely awesome and less in the landfills! 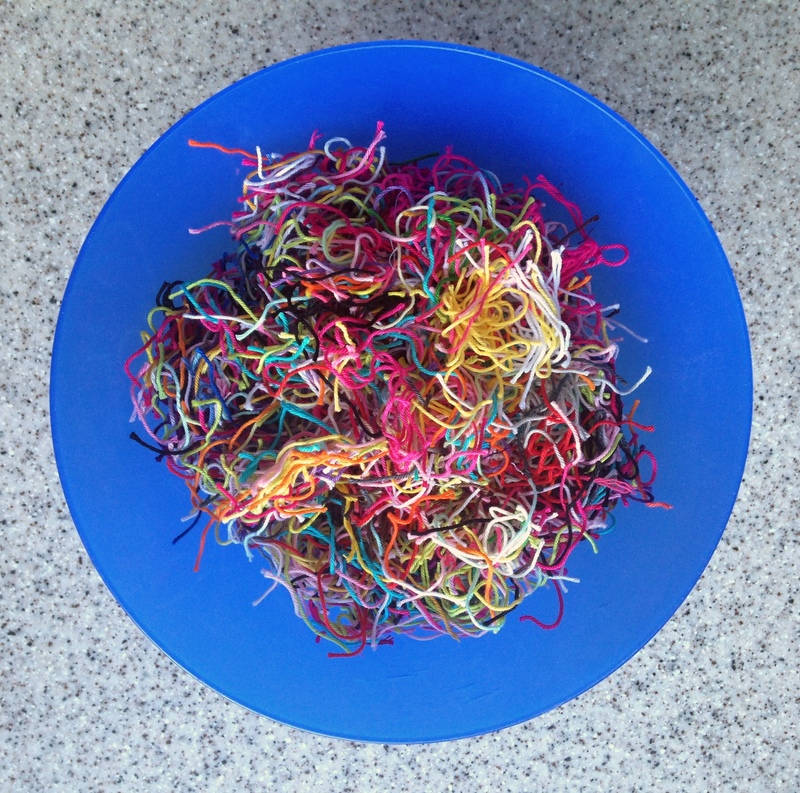 I feel like I have already thrown away enough ends to make bowls for the entire country! Thanks so much! That is great a real work of art! Looks like a few people on my list will get one for christmas! Thanks for passing this idea along. I save my ends, too, and now I have the perfect project for them. It’s so pretty! I have really wanted to do this for a long time, too, so maybe I should make the most of my cold and windy weather and just do it! I think my toddler would enjoy the process! Love this idea! I usually throw out my yarn ends but am happy to find a real use for them. 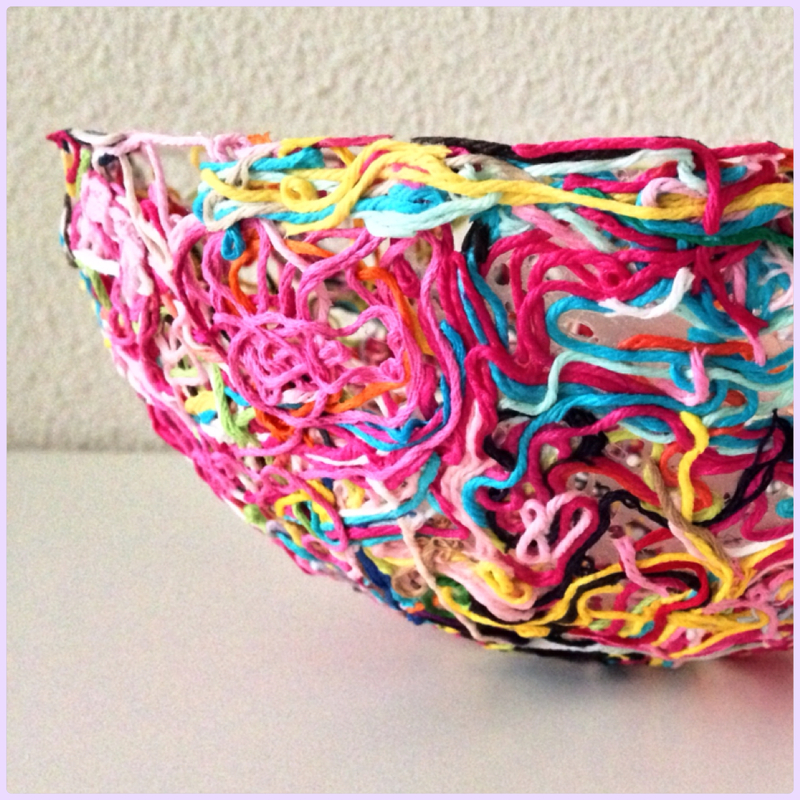 I’m thinking, since it’s a New Year, to start saving all the scraps from the projects that I am doing this year and make a bowl. It would nicely represent all the things I created over the year!!!! Pinned it and look forward to doing this in December – 2015 that is 🙂 Thanks for the idea!!!! Hi great idea, was wondering if it is sturdy enough to put things in it or is it just for look purposes. it really is beautiful. A ceiling light cover is what I’m thinking. I have a ceiling light with double light bulbs in a spare bedroom that I don’t have a shade for. It probably can’t be too dense with yarn or too dark a color so the light will shine thru. What do you think? beautiful bowl!! i was wondering if you could use elmers glue and water because it worked on some baskets i made. If you use an LED bulb there would be no heat! I’m seriously thinking of making a large one of these for over our dining room table. Thank you. Really neat. We only buy the yarn in colors and combinations we love, right? So this seems like a wonderful way to save a tiny bit of it to remember from the gifts we give away. 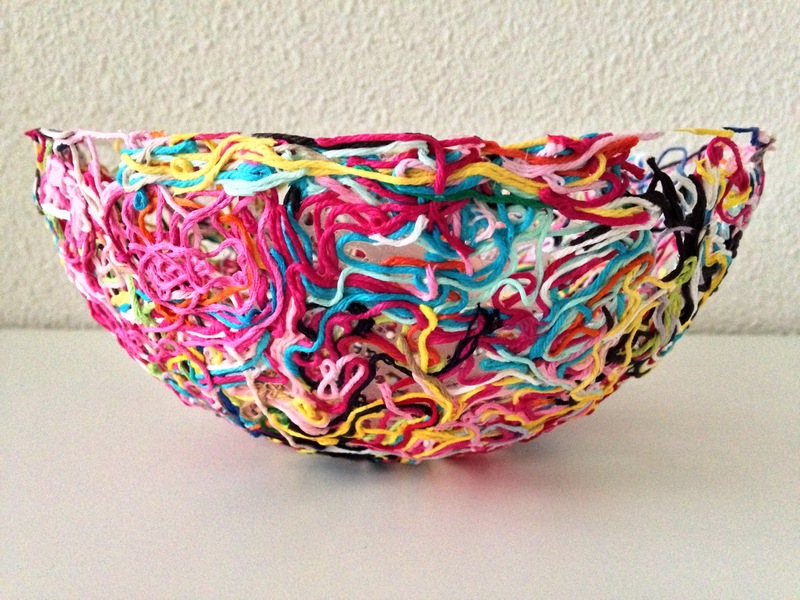 I bet you can make a yarn bowl with the little squiggly hole out of yarn ends. Very Creative! !! WOW! !!!! Sorry about this post but some people will use salt instead of sugar in the past. I was wondering if little things would like the bowl as a snack. 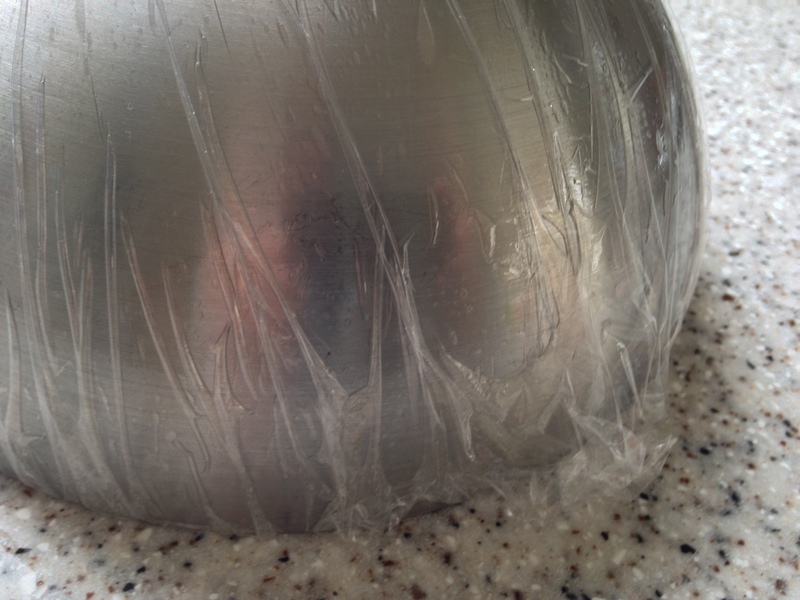 Can I use craft glueand makeover on a balloon instead of a bowl. If you don’t mind that your yarn is all the same length or don’t have enough yarn tails, I’m pretty sure the yarn used to make “Latch Hook Rugs” would work just as well. Great idea! I was thinking I would like to try making one of these, but had no idea what I’d use it for. Now I do, but for my daughter instead of granddaughter. Thank you ? How sturdy or strong are the bowls once dry ? This is simply gorgeous and such a good idea ! I don’t do crafts. 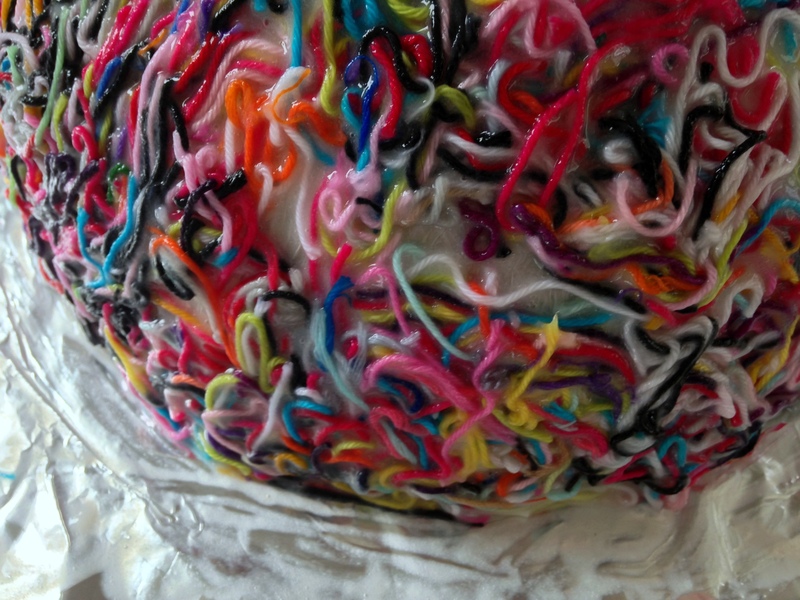 But this is a yarn craft. And I do yarn!!! LOL I am absolutely going to make one (or more). LOL Thanks for the great idea. I would like to do this with students at school. If I make the paste at home will it be usable days later? My kids will love this! What a great idea to this with your students at school! This is such a great idea!!! The link to the recipe doesn’t seem to be working, it take you to a blank page. Perhaps you could cut and paste it here? I have a niece and nephew that would have a blast doing this!!! Thanks again! Thank you for letting me know, Bonnie; it’s a bit odd, because when I click both “recipe”-links in my blog post, they take me to Carolyn’s page immediately. I’ve refreshed the links in my post, so hopefuly this will fix the problem.